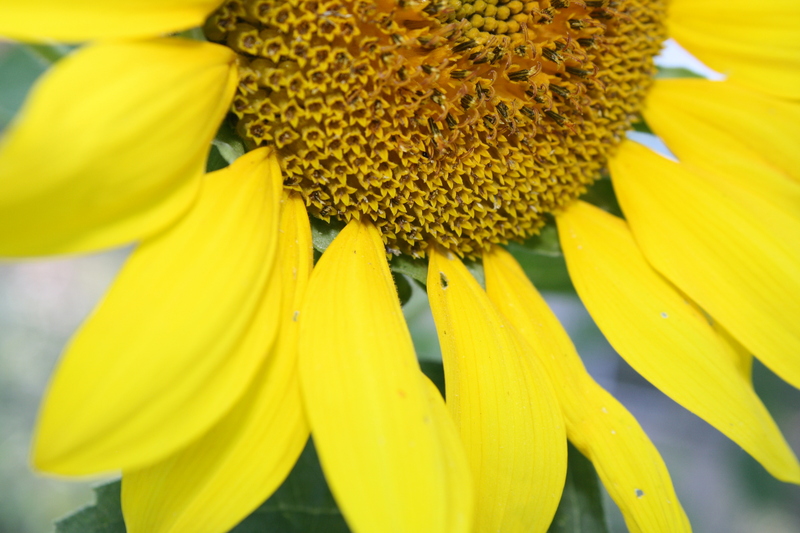 Free high resolution close up photo of a sunflower. This picture shows a close up of half of a sunflower – the picture is focused in on the bottom half of the flower. This sunflower is a black oil sunflower. Free image for any use.